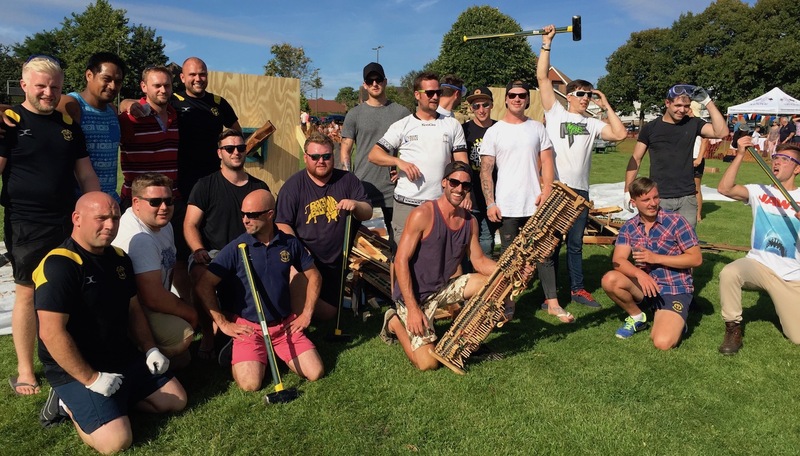 Cyclists spun and twisted in the air and a tank ground a piano to kindling on the first day of the Uckfield Rugby Club 50th anniversary extravaganza on Saturday. 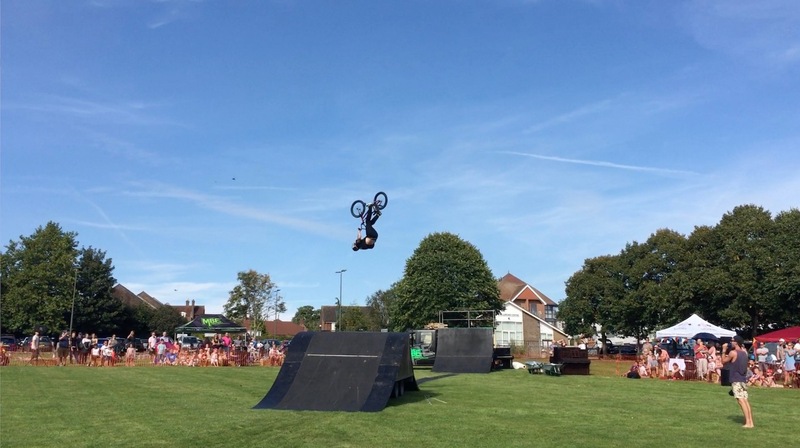 Crowds were wowed at the Uckfield Rugby Club 50th anniversary fete with a BMX show. 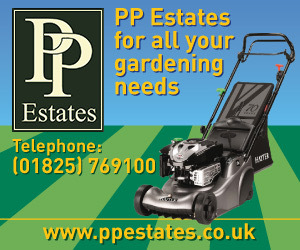 A fanfare of activities took place on Day Two as well, planned around a rugby match to be played against a Sussex XV. Pictures from Day Two can be seen here: Parachutists swoop into Uckfield Rugby Club during second da of anniversary events. Piano smashing on the Luxford Field. 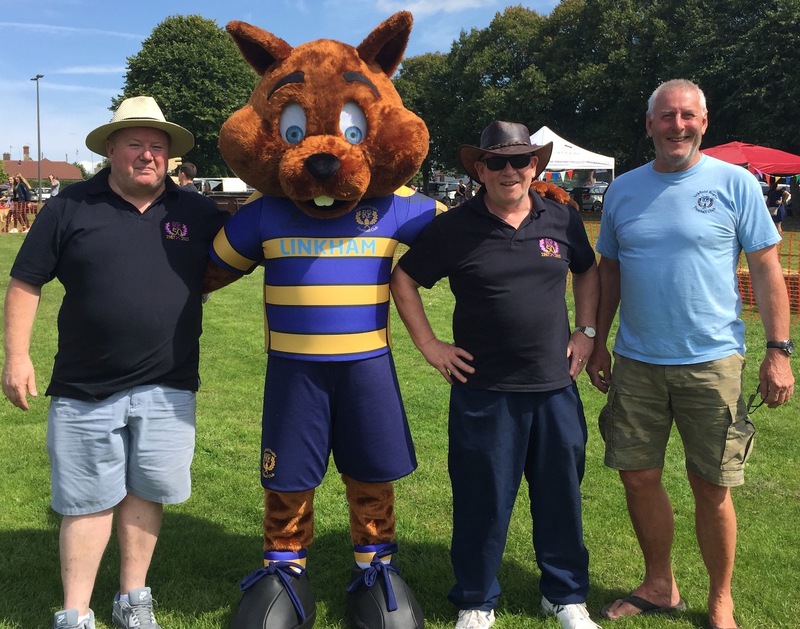 On Saturday at the Luxford Field events started with the unveiling of the new Uckfield Rugby Club mascot, Scrummy the squirrel, appropriate because the club’s logo includes an acorn. Scrummy the squirrel, new mascot of Uckfield Rugby Club is pictured with chairman Gordon Buckland, John Lewis, and president Pete Reeves. Scrummy spent the rest of the day mingling with visitors. 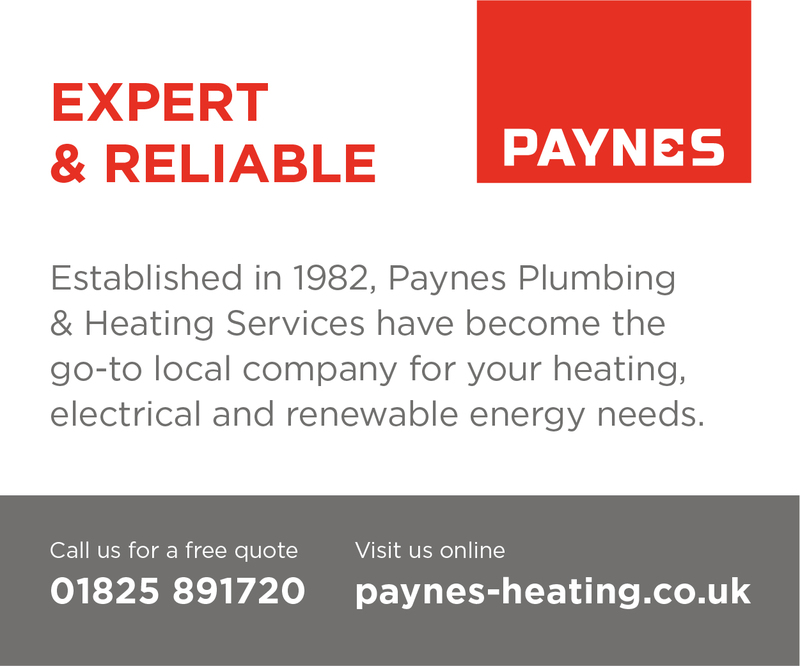 If you miss him this weekend then look out for him next weekend when he is planning to be at Uckfield Carnival. 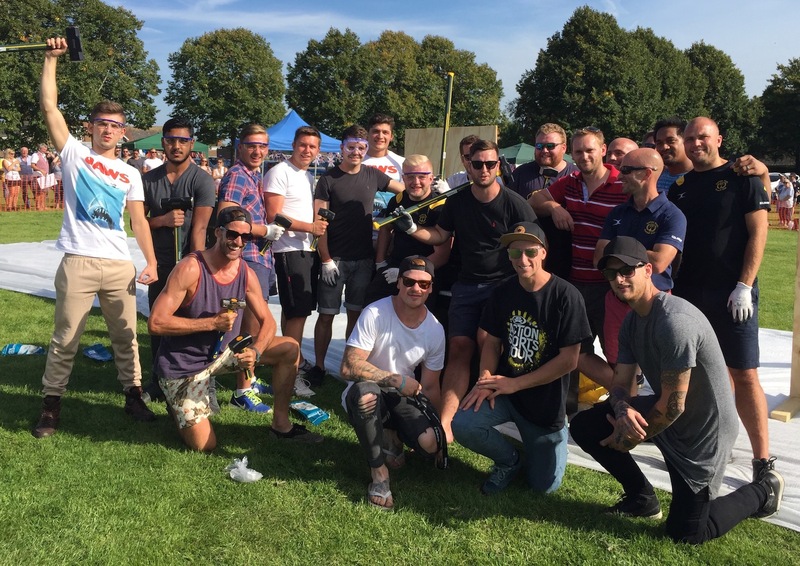 There were fitness and dance displays, and tug of war, wheelbarrow race, and piano smash challenges, and after the last of the pianos was ground to kindling by a tank, club chairman Gordon Buckland said they hoped to do it all again next year. A tank grinds the last of the pianos to kindling. Ready for the piano smashing challenge at the Uckfield Rugby Club fete on Luxford Field. After the piano smashing challege. Little remains of two pianos. Taking on the piano smashing challenge. Little and large in the pairs section of a dog show at the Uckfield Rugby Club fete. Owners show off the paces of their dogs in the pairs section of a dog show at Uckfield Rugby Club fete. Fabian, four, enjoys his look inside a Stormer Starstreak – which later turned a piano to kindling – at the Uckfield Rugby Club fete. He is pictured with his father Steve Hill, left, and the owner of the combat vehicle Andy Ellis. High jump on a bike at the Uckfield Rugby Club fete. Asten Howell, eight, cycles over ramps at the Uckfield Rugby Club fete yesterday. 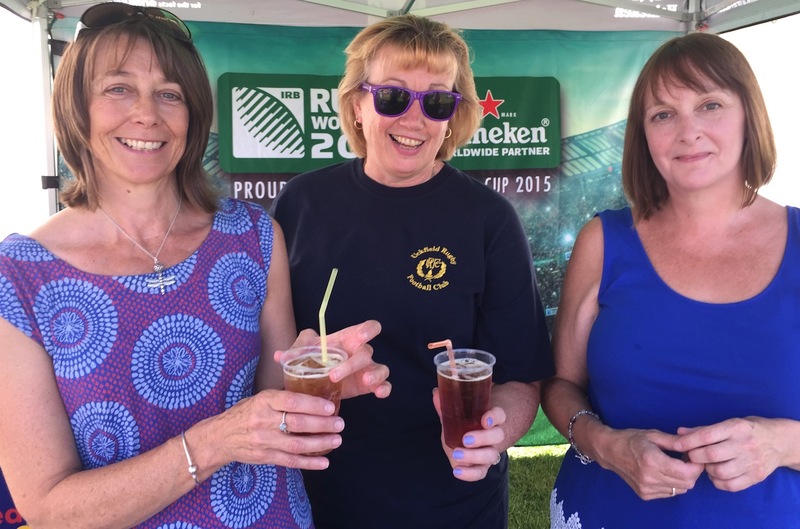 At the Pimms stall at the Uckfield Rugby Club fete are, from the left, A-J Howell, Liz Lewis, and Kim Dunn.